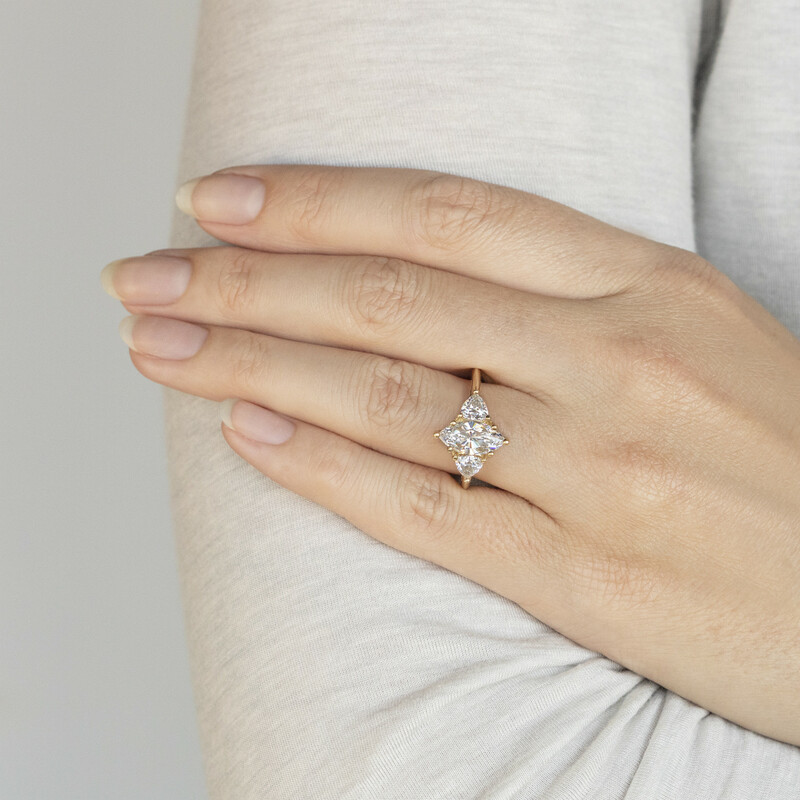 This twist on a three-stone ring is simultaneously modern yet true to its traditions. 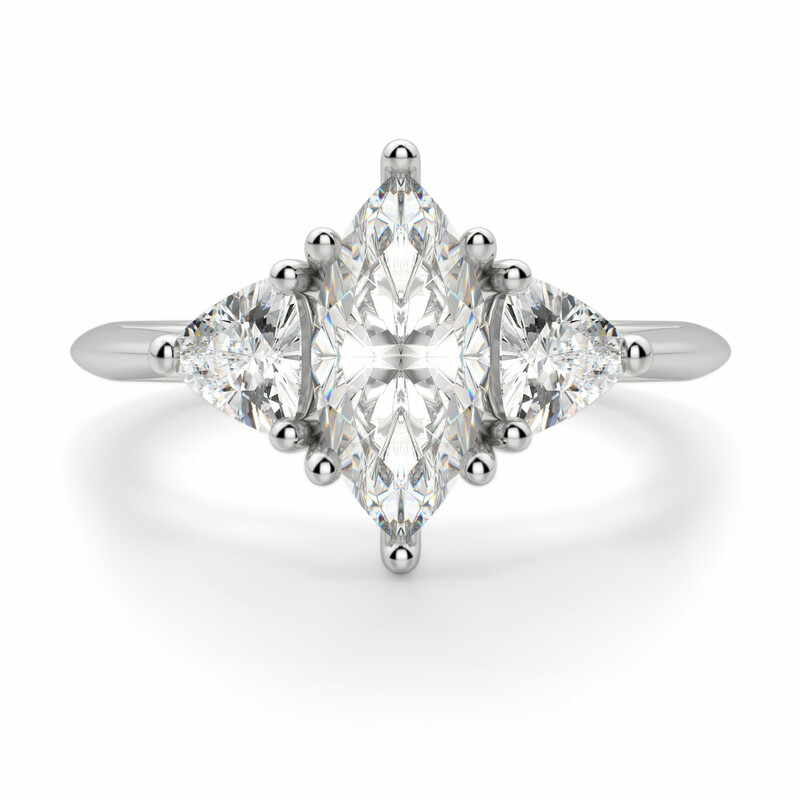 The Marquise cut Nexus Diamond alternative is flanked by two Trillion cut side stones. 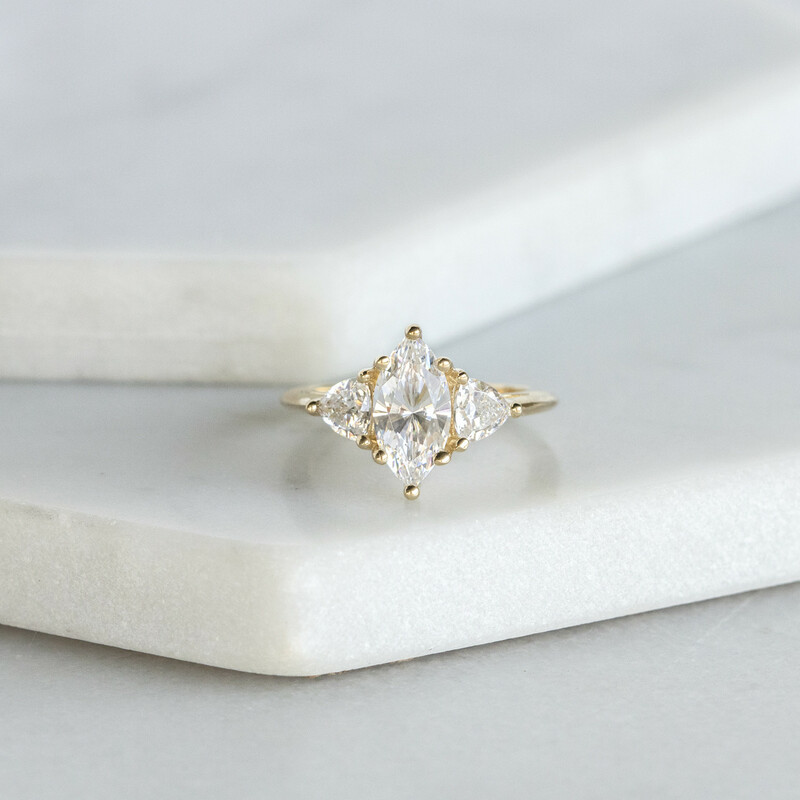 The curved lines of the Trillion cut stones mirror the curved lines and pointed corners of the Marqusie cut, creating a cohesive yet visually balanced piece. 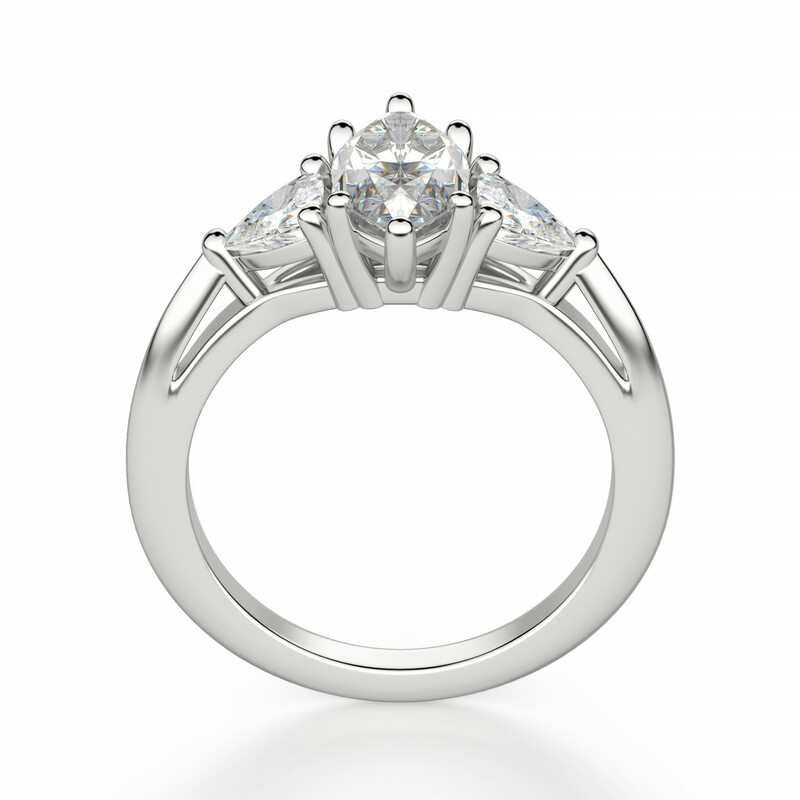 This ring features a lower basket settings and subtle cathedral shoulders for comfort. It is a piece that draws inspiration from the past, honors the present trends, yet has simplicity to remain beautiful into the future. 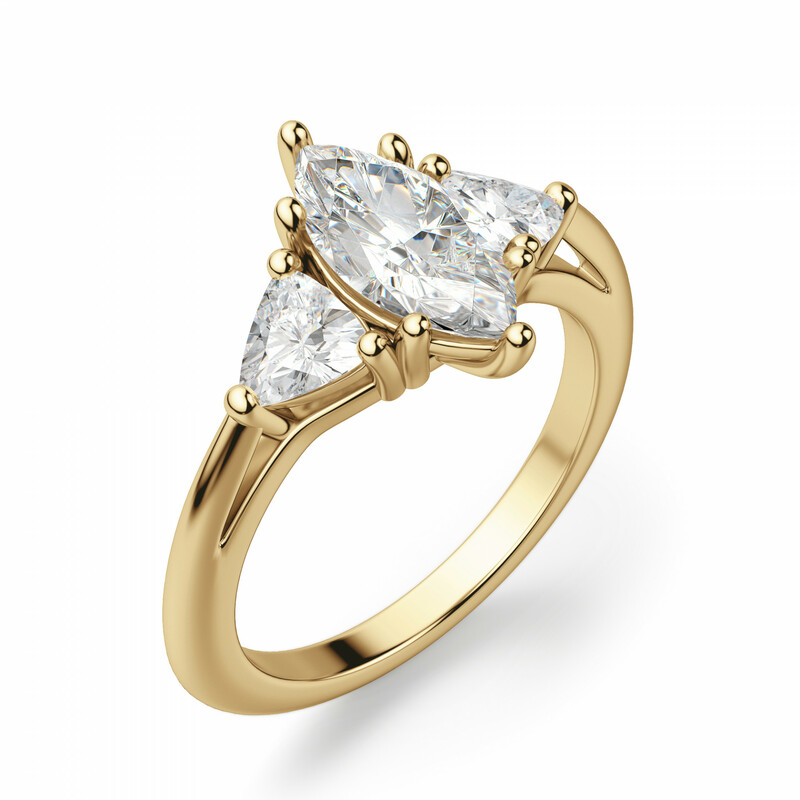 We are continually improving and updating our pieces to ensure our lifelong quality promise. As of fall 2018, the Timeless ring design was updated to feature Trillion cut side stones, more visually subtle prongs, and a more delicate overall design. In addition, the Marquise ring has a new matching band. Two Trillion cut Nexus Diamond alternative accent stones. Complete the look with the matching Timeless band.